This hand-stitched, personalized felt luggage tag measures approximately 3.75” in length by 2.5” tall, but the size can be easily adjusted to whatever works best for you. Draw a rough template of your tag on a piece of paper, including the contact information you will use. 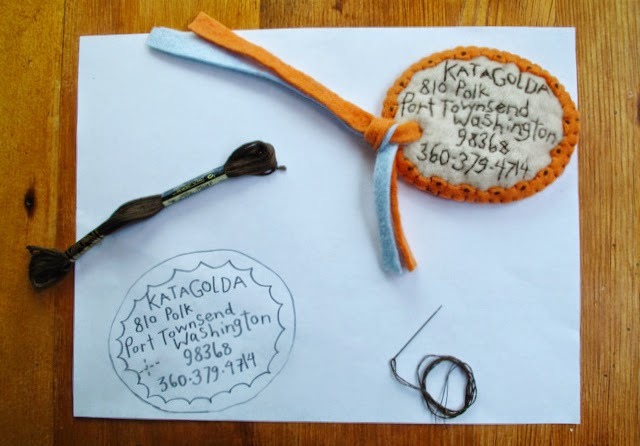 With a dotted line, draw an "X" to mark where you will cut the hole for the loop of felt/ribbon/yarn. This will help you keep track of spacing and ensure that you don’t run out of room. Stitch the contact information on the piece of felt that will be the front of the tag. For added emphasis, use 4-ply embroidery floss to stitch your name, but just 2-ply floss for the address. 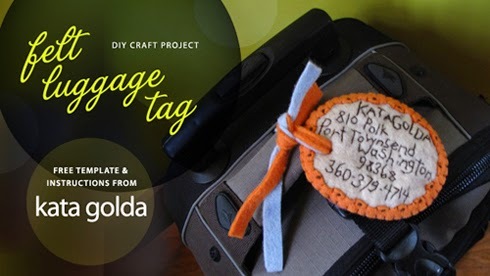 Place the decorative border on top of the tag's front piece (with the contact info facing up). Make sure the edges match up and pin them together. Using 6-ply embroidery floss, stitch decorative knots in the center of the scallops on the decorative border, sewing through both layers of felt so that they are held together. Then, using 1-ply floss, whip stitch the inner (scalloped) edge of the decorative border to the tag's front piece. Now place the tag's front (contact info facing up) on top of the tag’s back, making sure the edges match up. 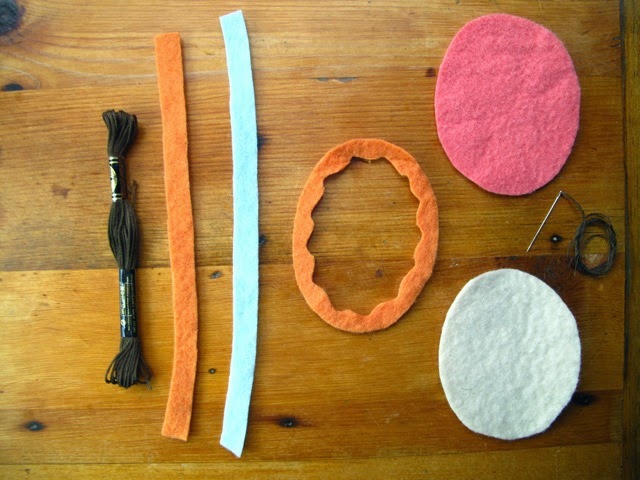 Pin them together and blanket stitch the outer edges of all three layers of felt together. Using your template as a guide, cut an "X" (through both layers of felt) where you want the hole for the loop. 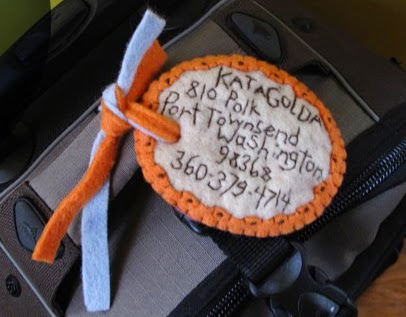 Pass the strip of felt/ribbon/yarn through the hole and securely tie the tag to your luggage handle. Bon voyage! Be creative with color choice, shapes, lettering and embellishment. Try to keep the stitch depth and length consistent. When whip stitching, I make my stitch length and depth between 1/8" – 1/4". Need felt? Bundles of wool felt squares in various colors are available from KataGolda.com, and include ten sheets of 6 1/2" x 6 1/2" hand-dyed felt. The felt varies in content from 100% to 70% wool (the other 30% is rayon, also a natural fiber), and has been tested by Consumer Testing Laboratories and found to be child safe.